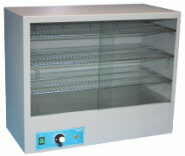 The GENLAB drying- and warming cabinets are used for a.o. drying glassware and instruments, or warming of blankets for the operation room. 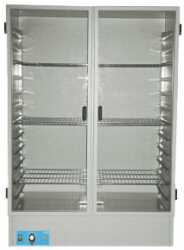 These cabinets come in two versions, uninsulated and in sulated for improved efficiency and energy saving.